In May 2002 following the concert/performance, Cinema for the Ear, at Sir Alan Ayckbourn’s Stephen Joseph Theatre in Scarborough, North Yorkshire, my then University of Hull colleague, electroacoustic music composer Dr Tim Howle (now Professor of Contemporary Music at the University of Kent), instigated what has become an ongoing collaboration exploring the conjunction of electroacoustic composition and creative moving image practice in the production of work where sound and moving image are commensurate. Work began as a collaborative creative arts practice following the concert in which I was mixing pre-prepared digital video sources in a live visual multi-projection accompaniment, to live 8-speaker surround-sound-diffusion playback of a sixty minute programme of electroacoustic music compositions. 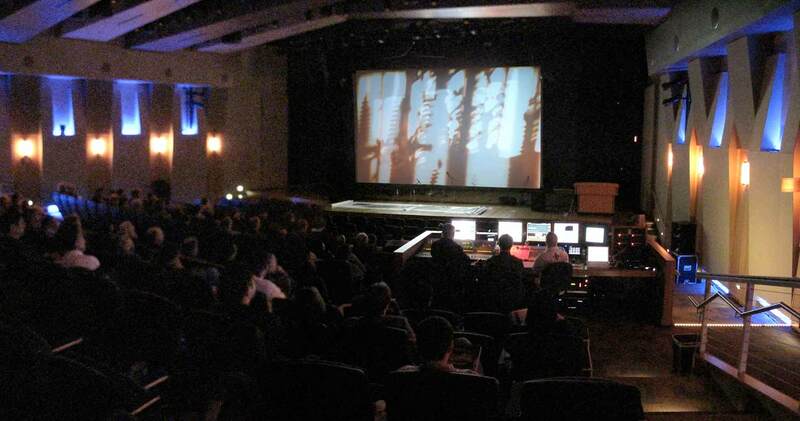 Tim Howle proposed composing an original soundtrack to an already existing edit of visual material screened in the concert. This material had evolved over a number of years through working and reworking footage to different soundtracks in different contexts. The resulting combination of this visual edit and Tim’s soundtrack is Open Circuits. 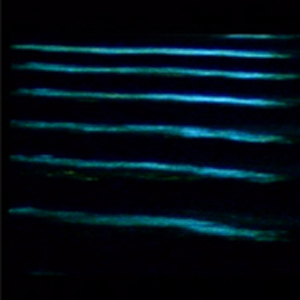 A further three collaborations produced between 2003 and 2008 (and a fifth work, Radiance, 2002, a 15 minute documentation of an interactive installation produced in collaboration with electroacoustic composer Dr Rob MacKay) form the body of work collected together and presented on DVD as Electroacoustic Movies. Through the process of collaboration, and subsequent national and international screenings, and with Tim Howle and myself based in academia and engaged in the bureaucracies and markets of research within the emerging British university research environment over the past decade; research agendas have arisen and presented themselves subsequent to the creation and exhibition of the work. A process which we have called ‘Praxis as Research’ in a number of papers given at conferences where we have sought to address the collaboration within academic research contexts. Prior to the collaboration I had written very little about my film making practice, nor taken the opportunity to reflect at length upon its contexts. With the opportunity presented by academic research forums, a number of contexts emerge in which the work contributes new knowledge and which help locate and inform the practice. In casting a critical gaze upon my recent work, the connections between this and older work have become more evident, and overarching key themes in the practice come into focus. Indeed the notion of ‘praxis as research’ has informed the development of my PhD submission itself. In exploring the research contexts of Electroacoustic Movies, the wider contexts of my praxis and practice since the 1980s is brought into consideration and vice versa. 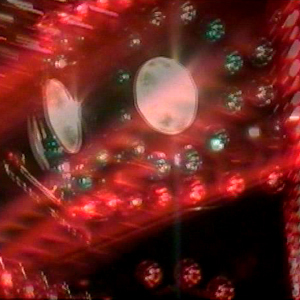 Not only has the content of some of the Electroacoustic Movies material derived directly from work previously undertaken in both the 1980s and 1990s, the practice itself is informed by and builds upon previously explored practices and methodologies; and there is a reciprocal informing of critical, theoretical and contextual issues between past and present work. 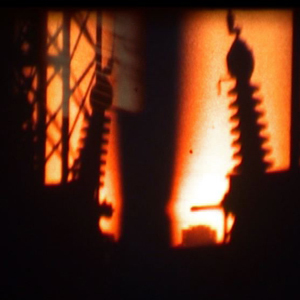 What connects a fledgling post-punk film making practice through to Electroacoustic Movies in retrospect can be seen to be one of a visual music, cinesonic, audiovisual practice. Experimental exploration of the combination of sound and moving image beyond commercial production parameters, informed by notions of affective transsensory perception, of sonic and musical practices and perceptions informing visual practices, and of sound and image combinations constituting ‘a third communicative dimension’ (Williams, 2003, p.154) can be seen to constitute the key underlying theme throughout the three decades worth of work under consideration. Much of my work has music as a key constituent element and looks to music for models and modes of organization and audio-visual articulation. As Holly Rogers (2010, pp.62-63) observes, by elevating music to a rival narrational system to mainstream theatrical narrative filmmaking ‘a disintegration of established viewing hierarchies is initiated… liberating soundtrack from its redundant position as visual enhancement’. Such work ‘diverges from the primacy of vision as the dominant perceptual sense: from the other side of representation, the images, with their reconfigured “dream-aura”, require a method of viewing more akin to listening than seeing’ (ibid, p.184). The exploration of the abstractions which occur when visual movement is dictated by the logic and temporality of music becomes a key theme to my work, and the subsequent operation of a ‘type of synaesthesia, whereby an input in one sensory mode excites an involuntary response in another, constructing meaning as the film progresses, rather than reproducing it’ (ibid, p.37). In retrospectively evaluating the core themes that bind together this body of work it is clear that practices that have come together under the discussions of ‘visual music’ and ‘multimedia visual art’ (Brougher & Matthis, 2005, McDonnell, 2007 & 2010), ‘video music’ (Jean Piché, 2004), ‘musical visuality’, ‘audiovisuality’ (Williams, 2003, pp.13, 99, 154, 195) and ‘cinesonic’ (Birtwistle, 2010) are at the heart of the work. Tim Howle performing a live sound diffusion of In Eclipse, Indiana, 2009. Society for Electro Acoustic Music in the United States, annual conference, Fort Wayne, Indiana. Exploring stylistic conventions of electro acoustic composition and moving image practice and the new area opening up of electroacoustic composition and moving image combinations, Tim and I have defined this work as both Aesthetic Research and Process Based Research according to the taxonomies of research developed by the Journal of Media Practice, ScreenWorks project. The constituent pieces of Electroacoustic Movies, utilize the flows of sound and image to effect temporal and contextual transformation, a key theme throughout all my work under consideration here. The work gathered as Electroacosutic Movies itself drawing on, reworking and revisiting themes and original footage from my earlier practice, as well as forging new explorations with new technologies and practices. Electroacoustic Movies (2003-2008) constitutes a body of work that informs new developments and contributes new knowledge to electroacoustic composition and emerging and historic visual music practices. The Computer Music Journal recognizing the significance of ‘this new medium’ (2005, p.4) by devoting their Winter 2005 issue to Visual Music. Composer and academic Jean Piché describes the extension of electroacoustic composition into working with moving image as ‘a new paradigm for composition… The means of production for visuals now are extremely interesting, catching up to what we’ve been doing with sound for over a decade. It’s an exciting new form that has a lot of depth to it… the combination of abstracted image and sound make a fertile ground where an entirely new poetry can grow’(Piché, 2004). Piché chooses to describe his work as ‘video music’ to distinguish it from music videos and from other forms of generative visual music. Tim Howle (2009) recognises that our work is distinct from generative/algorithmic and electronica based practices, and also distinct from single authored work. The coming together of two distinct compositional practices to produce the collaboration is significant and important, and we believe gives an originality to the practice recognized in its selection for national and international screenings and performances. The work can be seen as an exemplar of new work emerging in these contexts, and contributes new knowledge to the study and understanding of new developments in electroacoustic and acousmatic compositional potentials and practices. The work also contributes an exemplar practice that can contribute new knowledge to the ‘fusions of practices’ Derek Scott (Sim, 2011, p.193) recognizes as warranting further analysis with regards to musicology. A Cinema for the Ears is a term and concept originally developed by Canadian composer Francis Dhomont (‘cinéma pour l’oreille’). See: Couture (2005). Journal of Media Practice Symposium, University of Bristol, June 2007; Media Communication and Cultural Studies Association, Annual Conference, Cardiff University, January 2008; ‘Electroacoustic Movies and other films – a case study in media practice based research’ (Cope), Newcastle University, Culture Lab, Lunchbytes Seminar, October 2008; University of Sunderland, Media and Cultural Studies Research Seminar, April 2008; ‘Making Electroacoustic Movies’ (Cope and Howle), SEAMUS Annual Conference, Indiana USA, April 2009; ‘Making Electroacoustic Movies II’ (Howle), Seeing Sound, practice led international research symposium, Bath Spa University, September 2009; ‘Alternative and Experimental Filmmaking and the films of Nick Cope’ (Cope), Sichuan University Jinjiang College, Chengdu, China, August 2010; ‘Contextualising Electroacoustic Movies’ (Cope) Seeing Sound, practice led international research symposium, Bath Spa University, October 2011. Aesthetic Research: stylistic innovation; finding new ways of using screen grammar; finding new means to say new things. Process Based Research: work in which the production methods, ethics, relationships, ways of generating material, research etc., all of which could be innovative. See: Dovey, J. (2009).